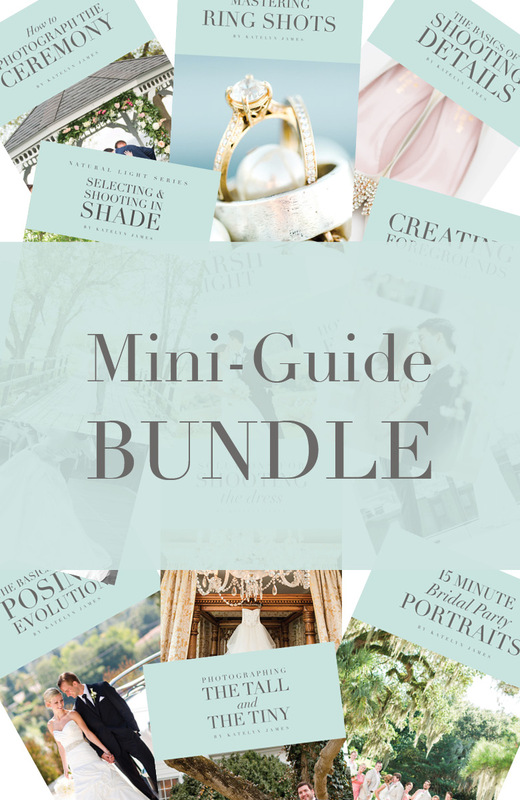 Purchase all 12 Mini-Guides in the KJ Collection all at once for $99 and SAVE $56.88!! In this bundle you will get: The Posing Evolution, Creating Foregrounds, Mastering Ring Shots, Shooting in Harsh Light, Photographing The Tall and The Tiny, Shooting in Shade, Shooting the Dress, Shooting Details, Off-Camera Flash Basics, 15 Minute Bridal Party Portraits, How to Execute a First Look, and How to Photograph the Ceremony. 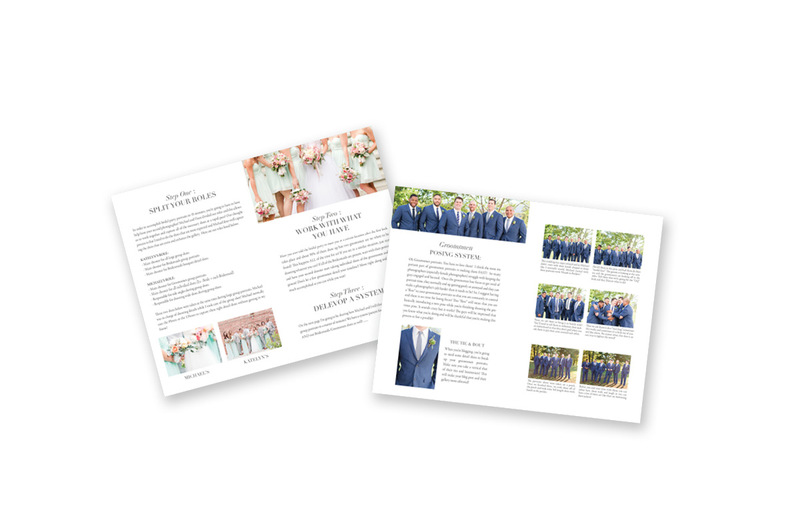 KJ Mini-Guides are DIGITAL EBOOKS that can be saved on your iPhone, printed and carried in your camera bag, or just saved on your computer for reference! 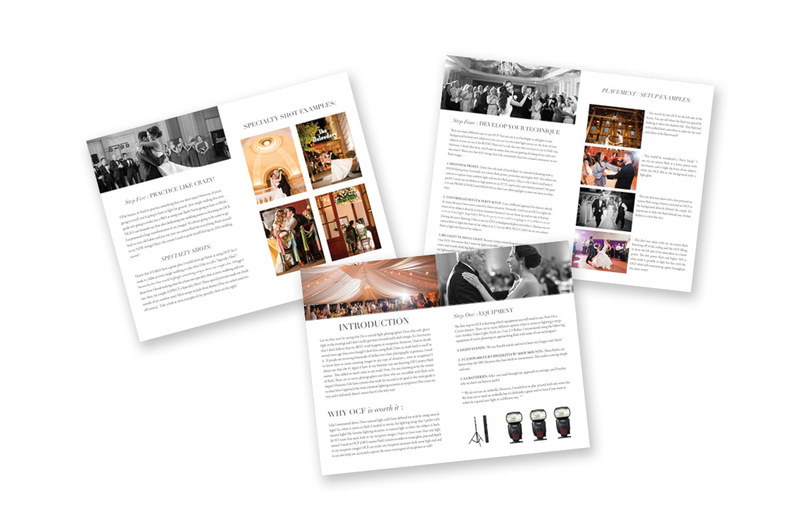 Mini-Guides vary from 8-10 pages and will be delivered via email! 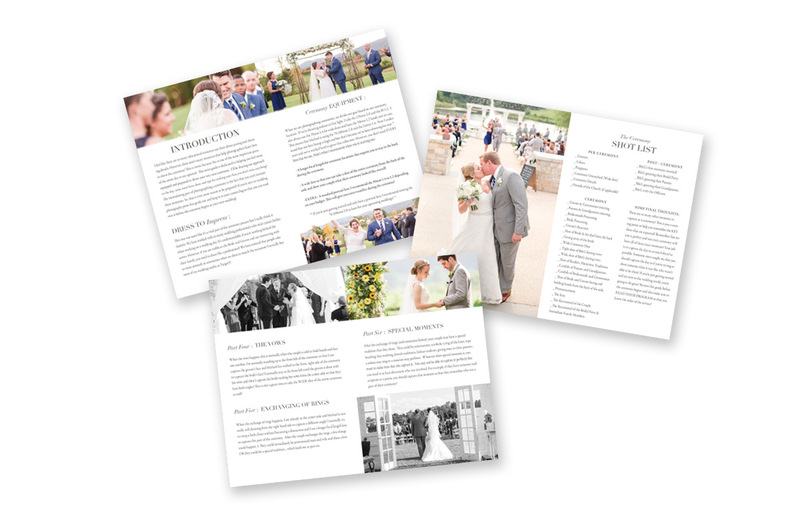 Mini-Guides vary from 8-10 pages and cover a variety of topics. These DIGITAL – EBOOKS are full of some of my best advice on specific educational topics!